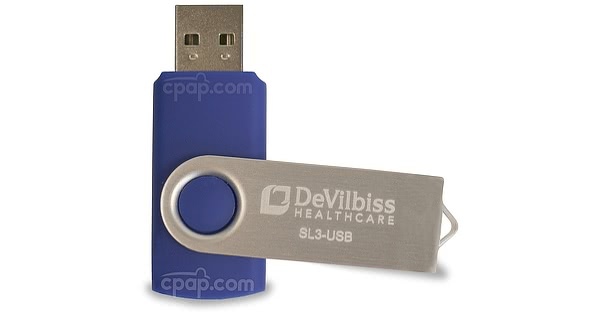 The SmartLink 3.0 USB for DeVilbiss IntelliPAP and IntelliPAP 2 Machines is a small flash drive used to install SmartLink 3.0 software on a computer in order to provide detailed sleep therapy results. The device is compatible with computers running Windows XP, Windows Vista, Windows 7, or Windows 8. The SmartLink 3.0 software is designed to work with all DeVilbiss IntelliPAP machines. 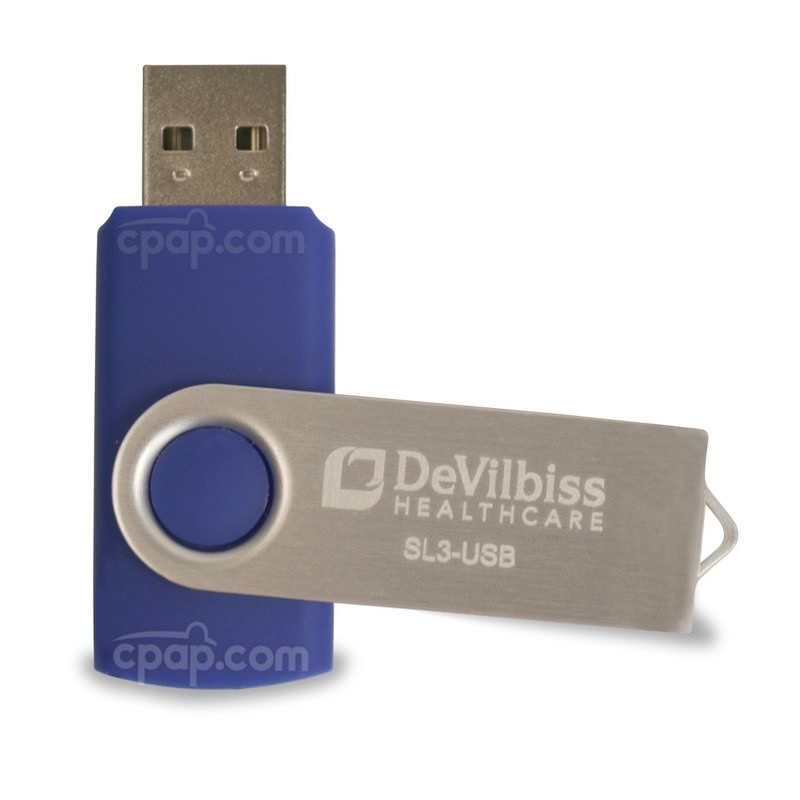 The SmartLink 3.0 USB for DeVilbiss IntelliPAP and IntelliPAP 2 Machines is used to install the SmartLink 3.0 software to transfer therapy and compliance results recorded by a SD card to a computer in order to generate a report. The original IntelliPAP machines from DeVilbiss require a module, a data card, and card reader, all of which must be purchased separately to generate a report. The IntelliPAP 2 machines have a built-in SD card slot, and require only a data card and card reader. 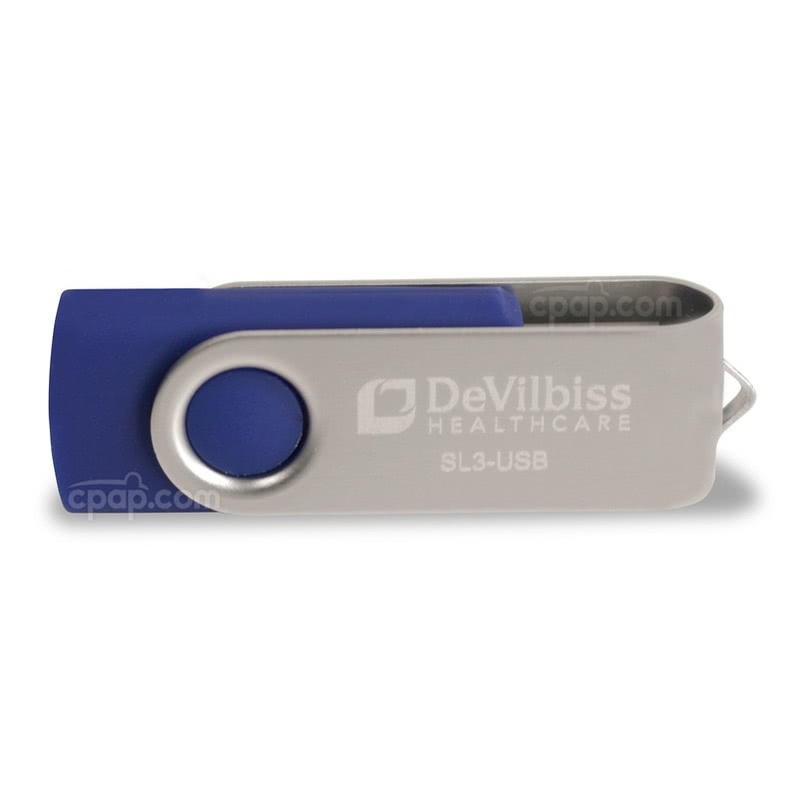 This is the software flash drive only and does not include any other products. Refer to the histogram to view a detailed report on the number of days used versus the hour of use per day. Please Note: There are two ways to view the hours of usage. First, the summary view reports the overall number of hours the IntelliPAP machine was in use. Second, the detailed view publishes the time when the machine was turned on and off. The Nonin® Xpod Oximeter is an OPTIONAL device designed to pair with the SmartLink 3.0 software to render oxygen saturation data. This unit can provide up to nine nights of information. Also available, if needed, is the OPTIONAL SmartLink app which can be paired with an IntelliPAP 2 machine. The DeVilbiss SmartLink app can be accessed on an iPhone or Android smartphone. The app can be found in the iTunes store for iPhones, as well as the Google Play store for Androids. Pair the IntelliPAP 2 machine with the app by connecting to the wireless, Bluetooth feature. Please Note: The SmartLink app is not available with the original IntelliPAP machines. Please Note: The SmartLink 3.0 USB for IntelliPAP machines only works with PC units running Windows XP, Windows Vista, Windows 7, or Windows 8. The tracking software is not compatible with Mac computers. To record sleep data, the original IntelliPAP models require a module, which is not included with the machine. IntelliPAP 2 machines have undergone an update which has a built-in SD card slot, omitting the need for the module. Both the IntelliPAP and IntelliPAP 2 machines require a SD card to store the data. The SD card must be purchased separately for all machines. Though, the SmartLink software is compatible with all IntelliPAP machines, the information stored will be different depending on the device. Standard IntelliPAP and IntelliPAP 2 machines record basic compliance data. AutoAdjusting and BiLevel IntelliPAP and IntelliPAP 2 machines record basic compliance data along with average and minimum pressure and leak rate. Therapy data is not stored on the IntelliPAP machine. The SmartLink Software must be installed in order to collect sleep results. This purchase only includes the SmartLink USB which is designed to connect the IntelliPAP machine to the desktop device. In order to begin storing and accessing data, the user will need the SmartLink Therapy Management Module, which records data onto a data card which can be viewed or shared with a physician. Gently push the SmartLink USB into the computer's designated USB slot. Find the file displayed on the computer screen and double click setup.exe to begin installing the software. Choose Next and agree to the default installation folder. Install the application by accepting the Install option. Once the installation is complete, the application is found in the start menu. Select the option to allow the application to surpass the firewall, if needed. The SmartLink module is set to Greenwich Mean Time by default. When the data is uploaded to the SmartLink software it is assigned the local time zone of the computer running the software. Alternatively, the local time zone that was previously assigned to the software may display if it is different than the computer's local time.